Johnston Carmichael’s Glasgow offices raise £3,700 on charity Kiltwalk. The firm’s nominated charity is the Scottish Association for Mental Health. The Kiltwalk events have raised more than £3.5 million since 2011. Johnston Carmichael, gold sponsor for this year’s charity Kiltwalk, raise £3,700 for mental health charity. Staff from the chartered accountancy and business advisory firm’s Glasgow office, under team name ‘The Chartered Akiltants’ limbered up and took part in the event to raise money in aid of the Scottish Association for Mental Health (SAMH). 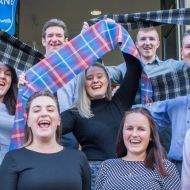 The firm has 11 offices across Scotland with staff at premises surrounding each of the four planned Kiltwalk routes taking part in the event. 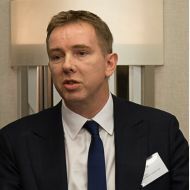 Mark Houston, Managing Partner at Johnston Carmichael’s Glasgow office, who took part in the event said: “There were some blistered feet and creaky knees in the Glasgow office afterwards, but the aches and pains were worth it. 800,000 people took part in last year’s Kiltwalk raising almost £900,000, with more than £3.5 million raised since 2011. This year the event will be open to all charities for the first time, enabling walkers to raise money for any cause close to their hearts. For every £1 raised from this year’s walks, £1.10 will go to walkers’ chosen charities, thanks to a pledge by The Hunter Foundation that 110% of all fundraising at the four events will go to charity. The dates for The Royal Bank of Scotland Kiltwalk 2017 are: Aberdeen (June 4), Dundee (August 20) and Edinburgh (September 17). Walkers will be given the choice of taking part in either the Mighty Stride (26 miles), the Big Stroll (13 miles) or the Wee Wander (6 miles).